If you have read my previous blog posts, or watched any of my YouTube videos, (if you haven’t already, please pop over there and subscribe!) 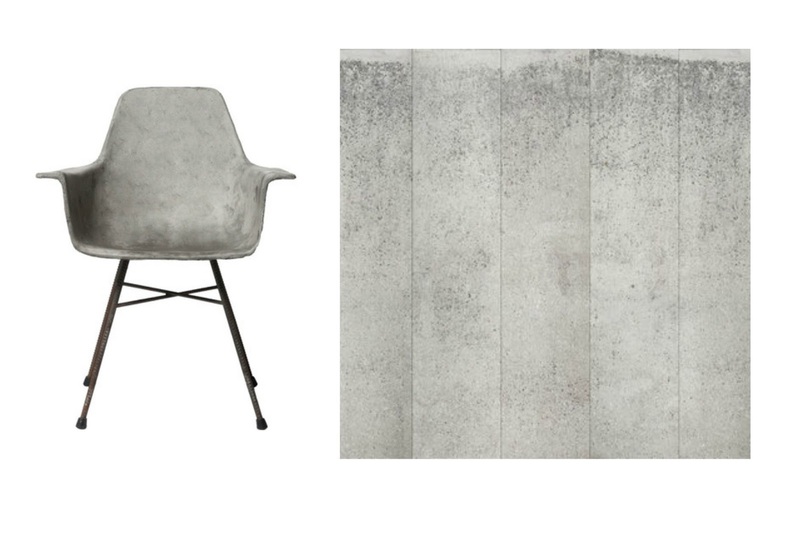 the chances are you will have noticed my love of concrete & all things grey when it comes to interior design and homeware! I think you can’t go wrong with it, it’s creates a calm canvas which means you can easily mix up and change smaller pieces, and add colour as you wish! I’m definitely going to attempt some concrete DIY’s at some point! Until then I thought I would share with you some of the items that I have been swooning over! Apple Watch – John Lewis. I love the grey & gold combination of this watch. Whilst I don’t own an Apple Watch myself, I always buy my Apple products from John Lewis because they offer 2 year guarantees and will price match any high street store! Trigg Wall Vessels – Umbra. I love the geometrical design of these & the copper adds a nice touch. Concrete Stool by Henri Lavallard Boget for Lyon Beton. This is solid concrete, so I’m guessing pretty heavy, but a versatile piece that would work in any room or even outdoors. Concrete Hauteville High Armchair from Lyon Beton. When concrete is polished it gives a wonderful smooth finish, I love this chair, but with the price tag I may have to seriously investigate trying out a DIY version! Concrete Wallpaper from NLXL. This would look amazing in a modern apartment. (I live in a Victorian property, so not sure I can get away with it!) It’s also washable, so it lives up to it’s durable appearance. 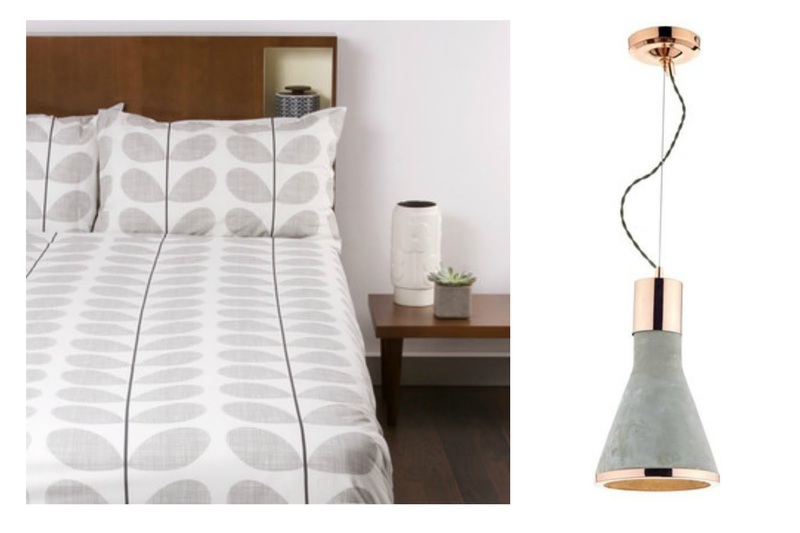 Duvet cover – Orla Kiely. As well as using the material, you can introduce Concrete tones into your place with soft furnishings and bedding. I love this minimal take on Orla Kiely’s famous stem print. 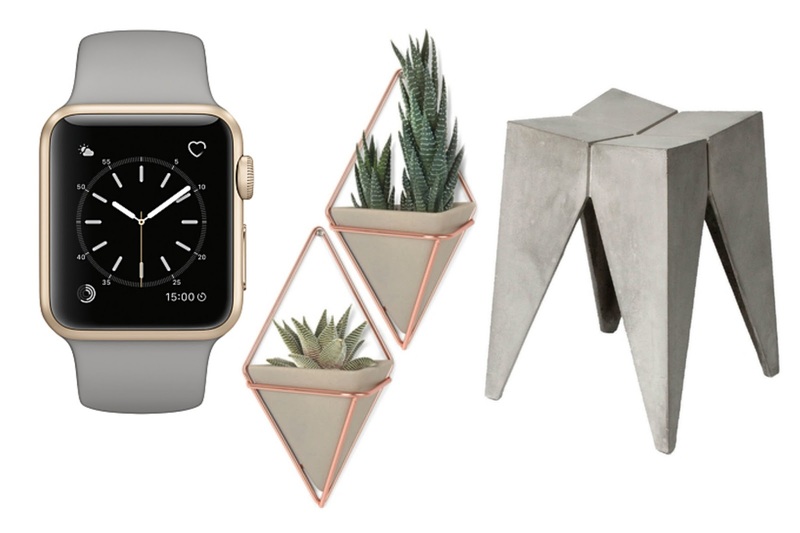 Concrete & Copper Cone Pendant – House Of Fraser. Can you believe this is from House of Fraser!? I love lighting pendants that incorporate the ceiling attachment, I just think it makes for a nicer finish – and good quality cables are so important too. This one has got it right! Side note: If you do go for a light like this, always get a qualified electrician in to install it, and if you are going to the expense of getting an electrician in, consider what other jobs might need doing around your home, like that extra plug socket you need in the hallway, the faulty extractor fan, or the dimmer switch you’ve been meaning to install! They often charge a call out then a set rate per fitting, so it’s worth while getting them all done at the same time. Cracked Concrete Wall Mural – John Lewis. No, you are not watching an episode of Homes Under the Hammer with a bad case of subsidence! This is a bold statement, and would look great in a minimalist apartment. 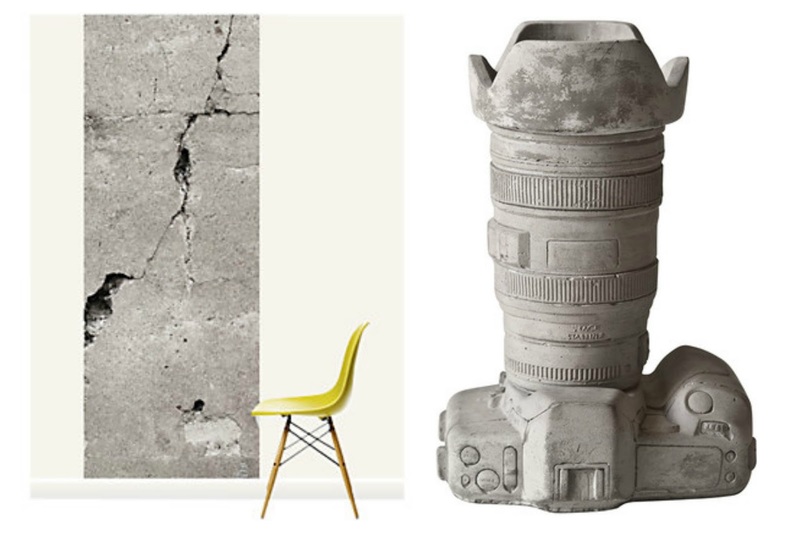 Concrete Camera Desk Organiser / Vase from Seletti. I’ll finish with my favourite! It’s perfect for bloggers or anyone into photography, and would make a really special gift. This is another one that I would love to DIY, although I’ll need to give that some thought as I certainly won’t be using my DSLR to make the mould! Let me know which item is your favourite in the comments below! Previous Post MENS FRAGRANCE – PENHALIGON’S AT TK MAXX! The colour of that apple watch is perfect! I can't say I'm a huge concrete fan but I am a huge fan of grey for interior design especially…well, and my wardrobe as well! I have so many grey pieces and I keep buying more.